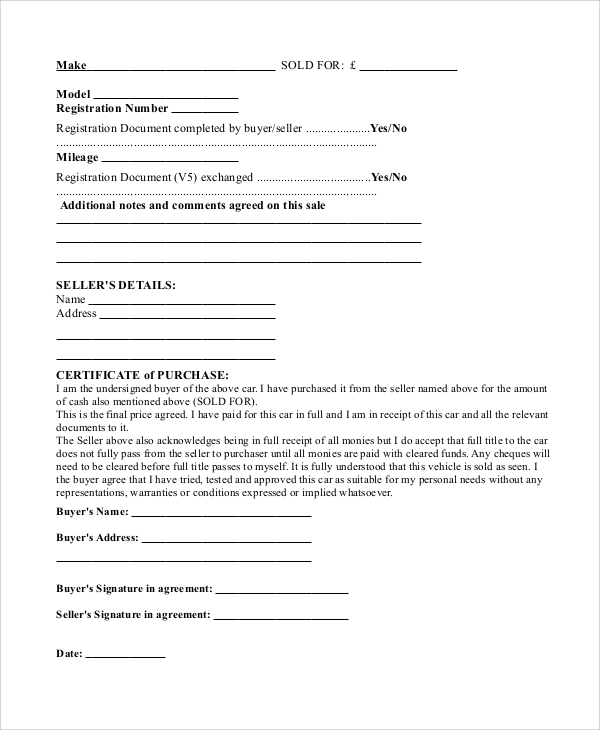 A sales contract is a legal document made by the seller and the buyer on agreed terms. For the contract to be effective and reliable it should be signed by both parties. The sales contract just like the other contracts, it is meant to ensure that both parties are treated fairly and no disputes arise in the period of the contract after the contract. On this post, we have reviewed some of the sales contract samples their benefits and usage.You can also see Sample Industry Contracts. 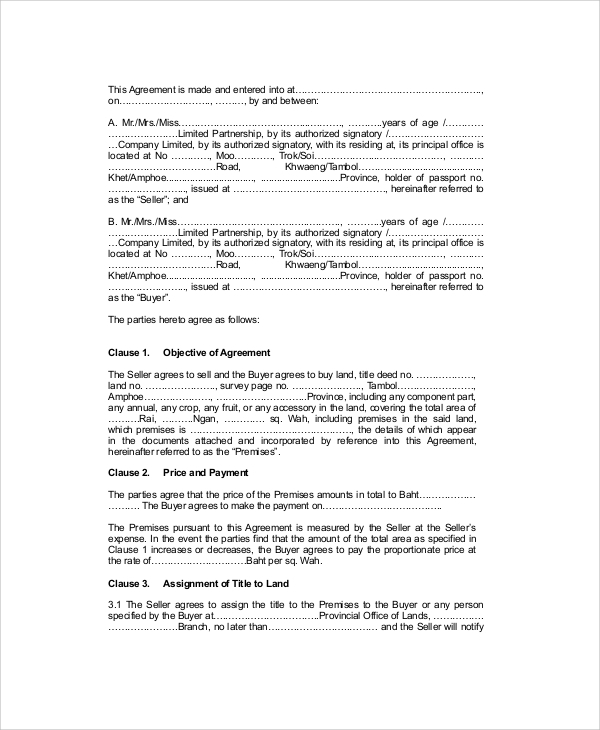 In the past making a real estate purchase without a lawyer was not possible but today the seller and buyer can agree on terms and have them written down and signed to make the document valid. Today you don’t require a lawyer to make a real estate sale or a real estate sale. 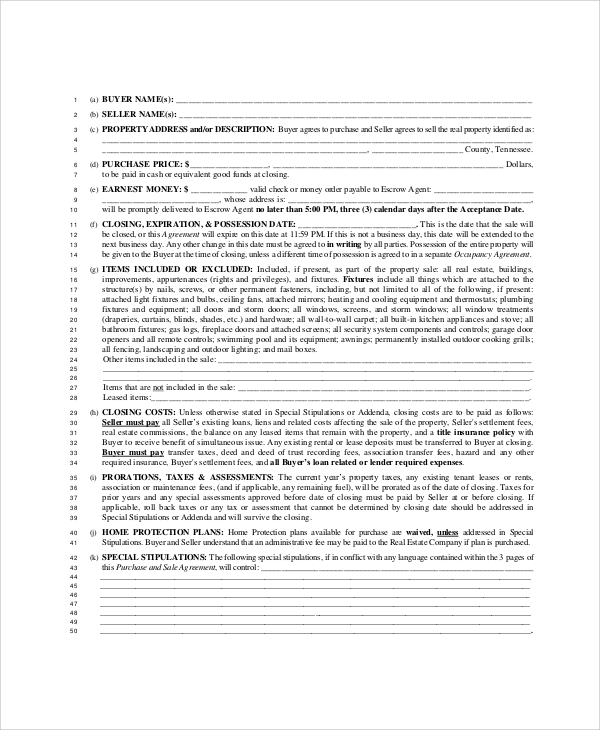 There are plenty of real estate sales contract sample on our site. 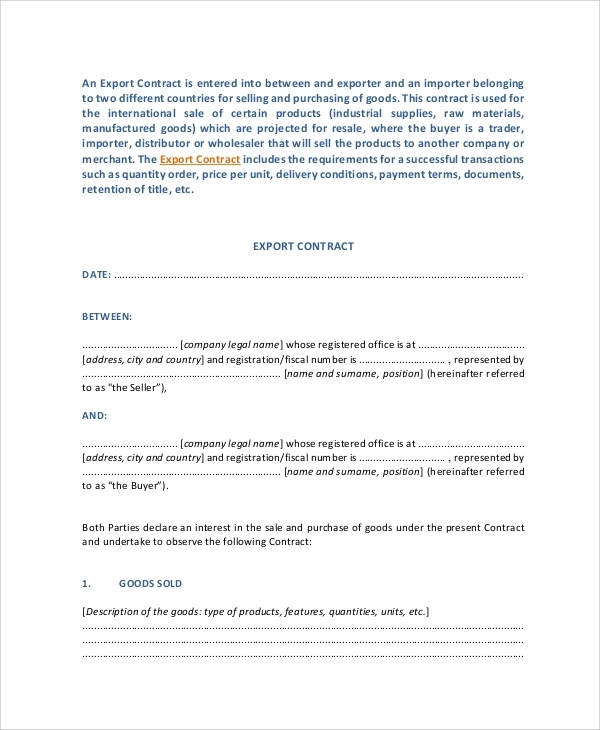 An export sales contract is used by the importer and the exporter as an agreement on how they should transact so as to avoid indifferences which may arise during the period of their contract. The contract requires no legal expert for it to be valid just the two parties are required to sign and it will be valid. 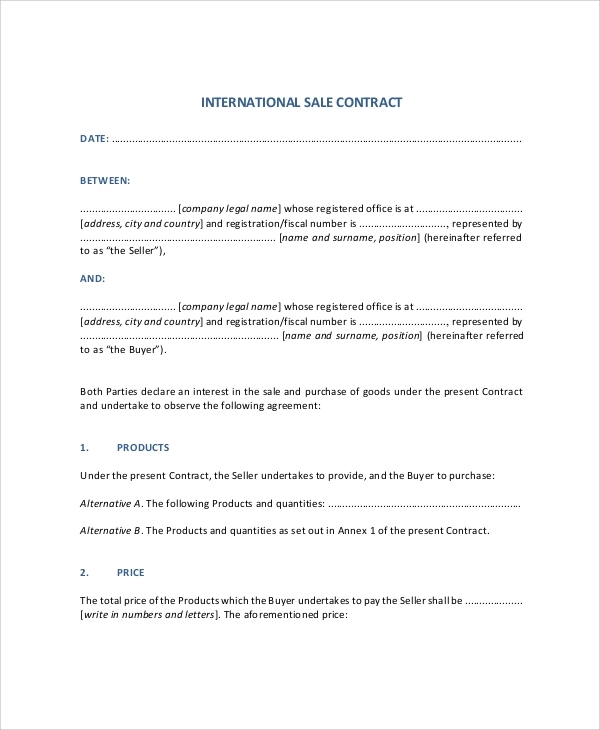 You can download samples of export sales contract from our website. A business sales contract is an agreement between two business persons who are selling or buying the commodity from the other. 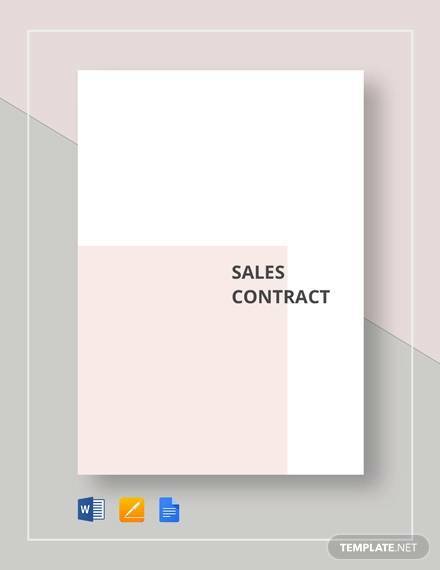 There are ready samples of a business sales contract which can be downloaded from our site be customized to suite your needs. The samples can also be used as a guide to coming up with a business sales contract. When Do We Need a Sales Contract? A sales contract is needed whenever one has sold the product to another and want to ensure that there will be no cases of indifferences arise after the sale is made. It helps both the buyer and the seller by ensuring the both treated fairly and no one benefits while other loses. A sales contract can also be used as a warranty if the terms agreed on it, have that included in it. 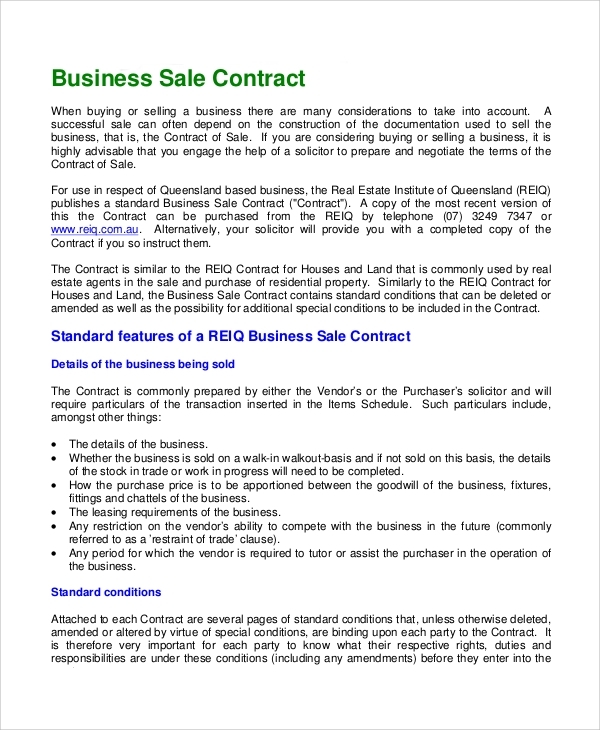 Whenever the buyer is given a sales contract he is secure since the terms they agreed with the buyer won’t be violated and this will assure they will run the business smoothly. Why is a Sales Contract Important? Even if you are transacting with a longtime loyal customer having a sales contract between you two is highly recommended. It has a number of advantages which includes; it prevents miscommunication, sometimes we make a deal and have a misunderstanding that may lead to great loss having a sales contract may help you avoid this. 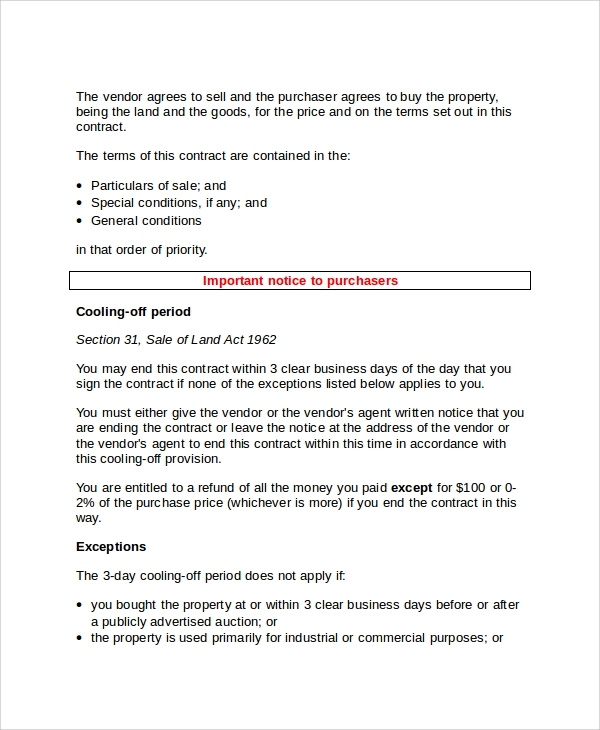 A sales contract also provide details of the terms agreed or of the product sold and this ensures that the buyer knows what product they have bought. A sales contract also acts as a legal backup, if any case may arise between the two parties there will be a backup to help them solve it. You can also see Sample Employment Contracts. Agreeing the terms of the contract between the buyer and the seller should be the first thing that should be done even before starting the contract. Both parties should also check on what if scenarios and discuss the solutions for the scenarios. Checking for sales contract sample from online sources or other sources is also encouraged because it will guide both parties on how to write their sales contract. Ensure the legal names are written in full in the beginning but giving the users nickname later in the contract can also be done. 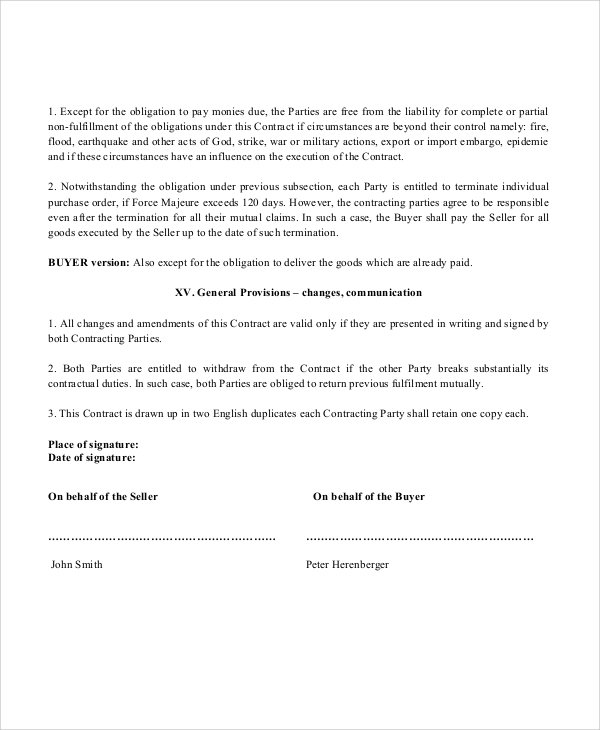 To make the contract valid both the parties should sign. Sales contract samples help the seller to come up with a contract that they can use with their sellers, the contract samples available on our site are created by professionals to ensure that none of the important details is left out. 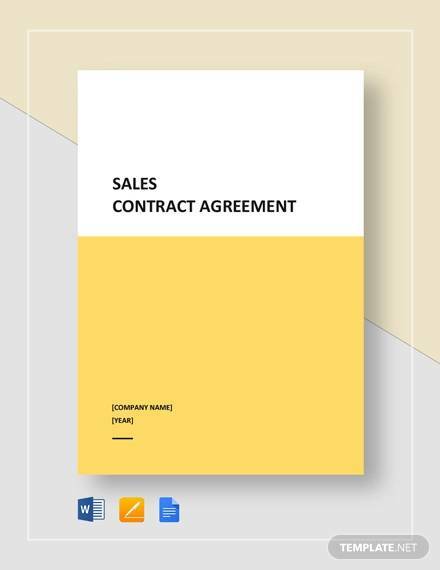 To ensure the sales activity is fine and fair, sales contract must be always there.You can also see Sample Service Contracts.